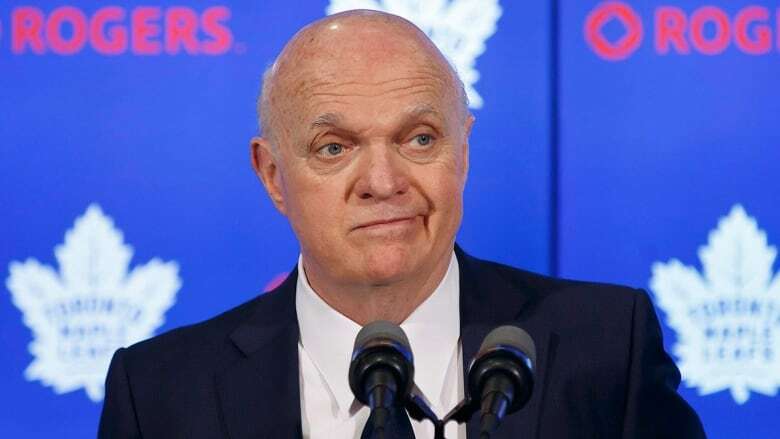 Lou Lamoriello will not return as GM of the Toronto Maple Leafs next season, the NHL team announced in a news release Monday. Team president Brendan Shanahan says he will shift all of his focus towards deciding on the 75-year-old Lamoriello's successor. While changes on the ice are expected with the Toronto Maple Leafs for next season, a key front-office move was made Monday. Longtime NHL general manager Lou Lamoriello will not return to the post with the Leafs next season, the team announced in a news release. "Three years ago, Lou and I agreed on a contract that would see him serve as general manager of the Maple Leafs for three years and then transition to senior adviser for the following four years," team president Brendan Shanahan said in a statement. "I will now focus all of my attention towards making a decision regarding our next general manager." Shanahan said he doesn't have a timeline for filling the GM position. "I haven't begun that process and that's why nobody has been named," Shanahan said. "My focus was on Lou and making a decision, taking a little bit of time right after the season ended to really reflect on that. So I'm just handling one thing at a time." "It's an unknown," Lamoriello said of his new role. "I've never been in a situation like that. So like everything else in life, you learn as you go and make the best of it." 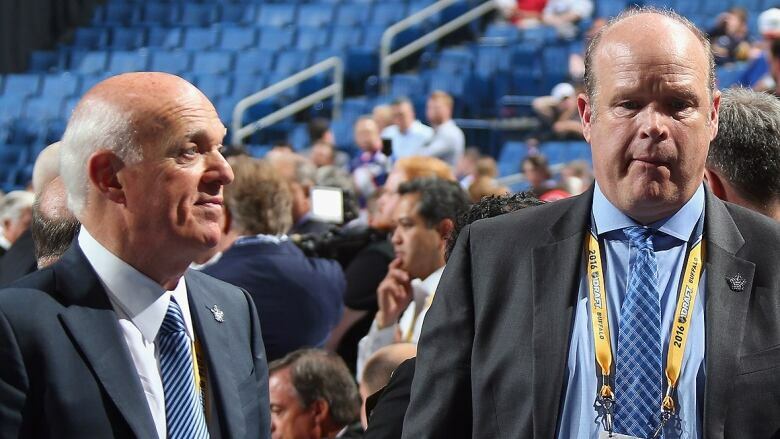 The belief is one of Lamoriello's assistants, Mark Hunter or Kyle Dubas, would take over as GM. Lamoriello, 75, wouldn't discuss his future with Toronto during Friday's season-ending news conference, stating he wasn't focused on himself at the moment. Two days earlier, the Maple Leafs dropped a 7-4 decision to the hometown Boston Bruins in Game 7 of their first-round Stanley Cup playoff series. Under Lamoriello's watch, Toronto gained a playoff berth in each of the past two seasons, and has improved its regular-season point totals from 69 in his first season to 95 and a franchise-record 105 this season on the strength of 49 victories. Lamoriello also served as GM of the American team that won the 1996 World Cup of Hockey in 1996 and returned to that post with USA Hockey two years later for the Olympics in Nagano, Japan. When Lamoriello left the New Jersey Devils after 28 years to join the Leafs in July 2015, Shanahan said the management team was "lacking in some experience." At the time, Lamoriello, a Hockey Hall of Famer, was the longest-serving GM in NHL history and along the way his teams won the Stanley Cup three times. He had a relationship with Shanahan dating to 1987 when Lamoriello drafted the power forward second overall. Shanahan was able to convince one of his mentors to join him in Toronto, surrendering a third-round pick as compensation. One of Lamoriello's duties was to mentor Dubas, then 28, whom the former believed would grow into an NHL GM. In May 2017, the Maple Leafs granted Colorado permission to talk with Dubas, who was working as GM and alternate governor of the American Hockey League's Toronto Marlies. But three days later, the Leafs rescinded their decision to let Dubas interview for a job with the Avalanche and named him assistant GM in October 2017. Dubas or Hunter as Lamoriello successor? It wasn't the first time Dubas, a former GM in the Ontario Hockey League with Sault Ste. Marie, was courted by an NHL club. Buffalo reportedly expressed interest a month before Colorado while Dubas was also said to have received interest from the Arizona Coyotes following the 2015-16 season. 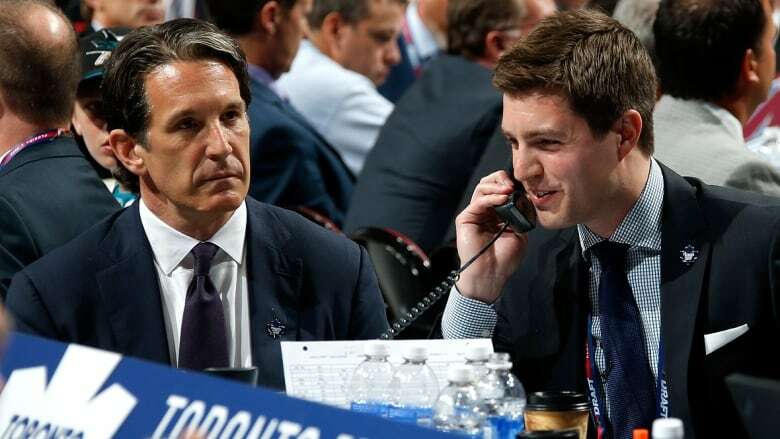 Now 31, Dubas also oversees the Maple Leafs prospects while leading the team's player development, hockey research and development departments. Hunter, 55, joined the Maple Leafs as player-personnel director in October 2014 and was promoted to assistant GM in August 2016. 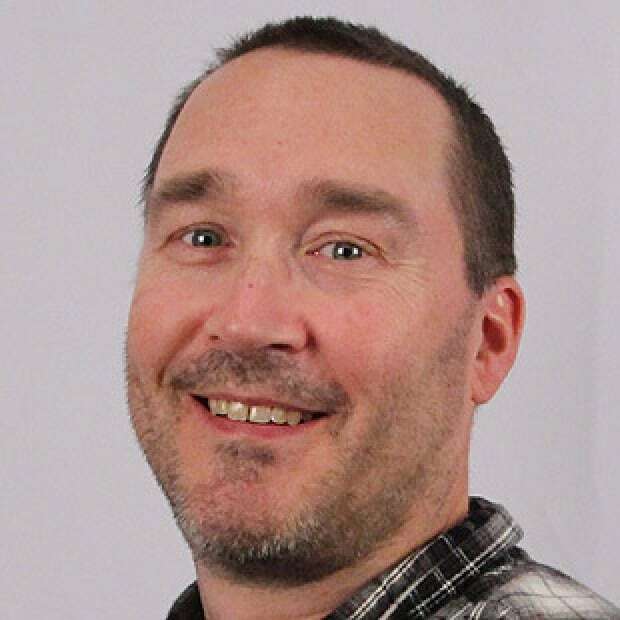 The former NHL forward has continued to oversee Toronto's pro scouting, amateur scouting and player evaluation departments and is credited for the team's successful drafts in recent years that have seen several players graduate to the NHL, including forward Mitch Marner (fourth overall in 2015), defenceman Travis Dermott (34th, 2015) and star centre Auston Matthews (No. 1 overall in 2016). The Maple Leafs probably will have a different look on the ice when the 2018-19 regular season begins in October as forwards James van Riemsdyk, the team's leading goal-scorer this season with 36, Tyler Bozak and Leo Komarov are eligible for unrestricted free agency on July 1. Toronto has also been linked to New York Islanders centre John Tavares, a pending UFA and Toronto-area native.